Everyone enjoys a meal out now and again, usually as a treat or as special celebration, writes Ipswich Borough Council Leader, David Ellesmere. There’s nothing better than relaxing with friends or family over a meal. But pleasurable memories can be wiped out if the next morning you are tied to the bathroom with a nasty dose of food poisoning. Happily, that is a something that fewer people experience nowadays. The main reason for this is the Food Hygiene Ratings system introduced by the Food Standards Agency. Under this scheme, every business or organisation that sells food is inspected by a Food Safety Officer from Ipswich Borough Council and given a rating. This ranges from 5 stars – “Very Good” to 0 stars – “Urgent Improvement Necessary”. 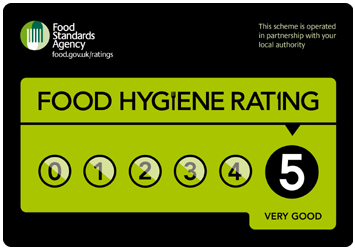 If an establishment has a 4 or 5 stars you can be fairly confident about the standard of food hygiene. I would be wary about eating somewhere with 3 stars. I wouldn’t touch a 0, 1 or 2 star restaurant with a bargepole. You can look up ratings on the Food Standards Agency website. This gives the welcome news that most businesses in Ipswich are either 4 or 5 stars, with the majority – nearly three quarters – rated 5 stars. There are only two establishments with 0 stars. Most people won’t look up a restaurant online though, so there are also stickers that restaurants can display which give their rating – the so-called “Scores On The Doors”. The problem is that restaurants aren’t obliged to display their rating. 5 star restaurants and takeaways are usually proud to display their rating. 1 or 2 star restaurants quite often don’t, in the hope potential customers won’t notice. It would be far better if all establishments had to display whatever rating they had received so it was clear to everyone. In fact, this is what already happens in Scotland, Wales and Northern Ireland. It is only in England where the Government is dragging its heels. The Local Government Association is running a campaign to get the Government to change the law so that all restaurants and takeaways must display their ratings. This is a campaign we should all support.